Romania has signed a deal for a new missile defence system – one of the country’s most expensive military acquisitions. It will see the Patriot missiles delivered to the south-east European country by the end of the year. The agreement with US defence firm Raytheon, worth 3.9 billion euros, is regarded as a necessity for Romania’s security and a strategic move that will strengthen NATO’s eastern borders. Iulian Fota, a defence specialist and former presidential adviser, spoke about the deal on public television. He said: “Romania needs such military capabilities. Otherwise the country risks remaining exposed to aerial threats”. As a final step to formalise the deal, Mihai Fifor, Romania’s defence minister, will submit a draft law to parliament, which is expected to be easily approved. He added that by the end of this year, a second military deal will be finalised under which General Dynamics, another US defence contractor, will make Piranha V armoured fighting vehicles at Romania’s state-owned Bucharest Mechanical Factory. Romania is among five other NATO countries that have stepped up their military outlay to meet the requirement – pushed by US president Donald Trump – of spending two percent of GDP on defence. Poland recently announced that it also intends to acquire the Patriot missile system as part of a larger defence acquisition program which includes submarines, helicopters and a significant number of F-16 fighter jets. The Patriot systems that are to be deployed in Eastern Europe are intended to complete a defensive line along NATO’s eastern border. 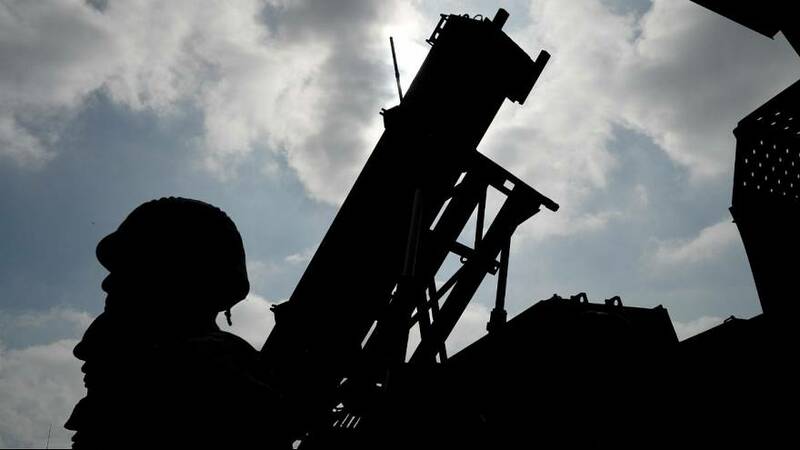 Iulian Chifu, a foreign affairs expert, believes that the Patriot missile systems, together with the Deveselu anti-missile shield in Romania, represent a very good deal. Officials, including Romania’s president, regard these as the latest pieces in NATO’s security jigsaw that is meant to deter Russia. Colonel Ion Petrescu, a well-known military analyst and a high ranking officer in the Romanian military, told Euronews: “The 3.9 billion euro spent on the Patriot system is well justified, considering the damaged that a full on military aggression will bring upon Romania, encouraged also by the country’s current air defence weaknesses. In response to Romania’s increased military expenditure, Valeri Kuzmin, Russia’s ambassador to Bucharest, stated that Russia does not hold any risk to the NATO and EU member country and that the Patriot defense system can easily be turned into an offensive weapon. “This threat is seriously being considered by Russia at the moment as it takes into account options to respond in kind”, said the high-ranking diplomat.